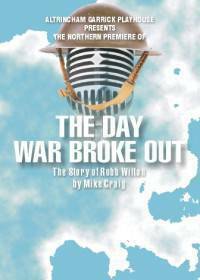 Starting in 1905 when traditional MUSIC HALL was in decline and VARIETY on the way up this play charts the rise and rise of famous comedian ROBB WILTON, star of stage (with his wife Florence) and radio and finally solo artiste. We all know his famous monologues, but this story is also of his home life (and what comedian does not have some skeletons?). The Garrick Playhouse is very excited to have secured this Northern Premiere from Mike Craig, one-time scriptwriter for Morecambe and Wise, TV producer and host of his own radio show each Saturday on BBC GMR. A backstage story with a difference.